The hip abductors refer to the gluteus medius and gluteus minimus muscles, which work together to help you swing your leg away from the midline of your body and support your hips while doing many functional movements in a weight bearing position such as walking, standing on one leg, squatting, and jumping. Of these two muscles, the gluteus medius is the more critical. But let’s start with the gluteus minimus first. The gluteus minimus is the main internal rotator of the thigh and also helps the gluteus medius with pelvic support. It is smaller that the gluteus medius and sits underneath it. Is like the best supporting actor, while the gluteus medius is the star of the show. The fibres of the gluteus medius originate on the gluteal surface of the ilium and attach on the lateral surface of the greater trochanter of the thigh. The main action of the gluteus medius muscle, when the entire muscle is contracted, is to abduct your thigh from the midline. 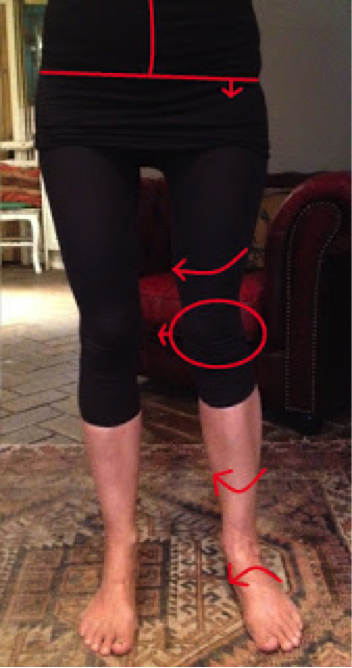 However, its two functional subdivisions means that it can do far more than just pull your thigh outward. The anterior portion flexes and internally rotates the hip. The muscle fibres of the posterior portion run in a more horizontal orientation, which allow it to externally rotate and extend the hip. One of the most important functions is to provide frontal plane stability to the pelvis while in a single-limb stance. This single-limb stance makes up about 60% of the gait cycle. Also, during this part of the gait cycle, approximately 3 times our body weight is transmitted to the hip joint. This means that the gluteus medius must be strong enough to resist those forces. Lastly, the gluteus medius functions to decrease or decelerate hip adduction. It is clear that the hip abductors play a very important activity that most of us do repeatedly every day: the single leg stance. This motion occurs while walking, going up and down stairs, and getting into and out of a car. Many people participate in sports which require running, hopping jumping, balancing on one leg; for these clients, it is even more crucial that their hip abductors be balanced and strong. Thus it is important to look at the knee, ankle and foot if you suspect weak hip muscles. The reverse is also true; if a client comes to you with knee, ankle or foot pain, look at their hip alignment as the problem may be coming from the hip but presenting in a lower structure. Tune in for next week for Part 2, in which I will go through some simple observational tests to help you determine whether or not your client has hip abductor weakness. Cat Kajary, M.Sc., is a registered physiotherapist with a background as a yoga teacher. She graduated from McMaster University in Hamilton and has taken post-graduate courses in Orthopedic Manual Therapy techniques, Anatomical Acupuncture (level 1; AFCI), Nerve Mobilization, and Lower Back Pain. Cat is excited to meld her knowledge of anatomy and biomechanics with Pilates, and has attained her Body Harmonics Pilates Level 1 Mat & Level 2 Reformer diploma. Thank you Body Harmonics for another great article. My skills are really growing with each article/video and it is truly appreciated. Keep it coming! Wonderful! That is why we do what we do! So nice to hear that it is appreciated! I’m so happy you found the explanation helpful. Thank you, I appreciate all of the “shoptalk” articles. I especially like the description with the picture to demonstrate what to look for. I’m so glad the picture worked for you. I like learning through visual media too; it’s easier to literally have a picture in your mind, than to try to figure out what all the words mean in the context of a body standing in front of you.